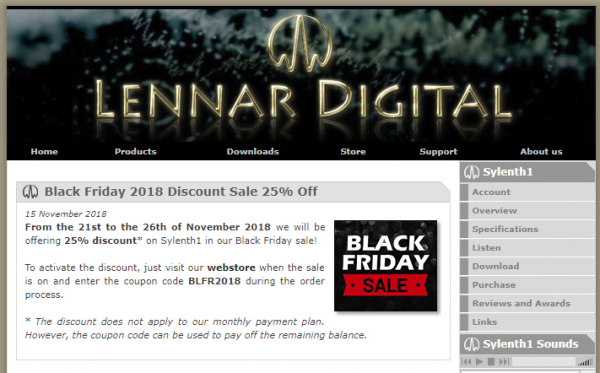 From the 21st to the 26th of November 2018 we will be offering 25% discount* on Sylenth1 in our Black Friday sale! To activate the discount, just visit our webstore when the sale is on and enter the coupon code BLFR2018 during the order process. * The discount does not apply to our monthly payment plan. However, the coupon code can be used to pay off the remaining balance.